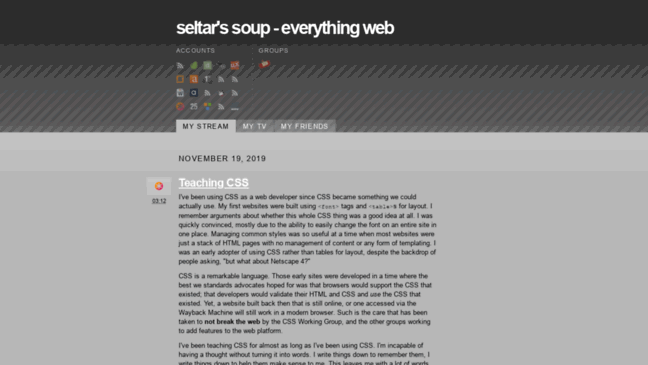 Seltar.soup.io has one channel named 'Seltar's soup - everything web'. Seltar Soup is a low-traffic website with 36 visitors daily. According to analytics provided by MyWot, seltar.soup.io is trustworthy but not child safe, with some explicit content.